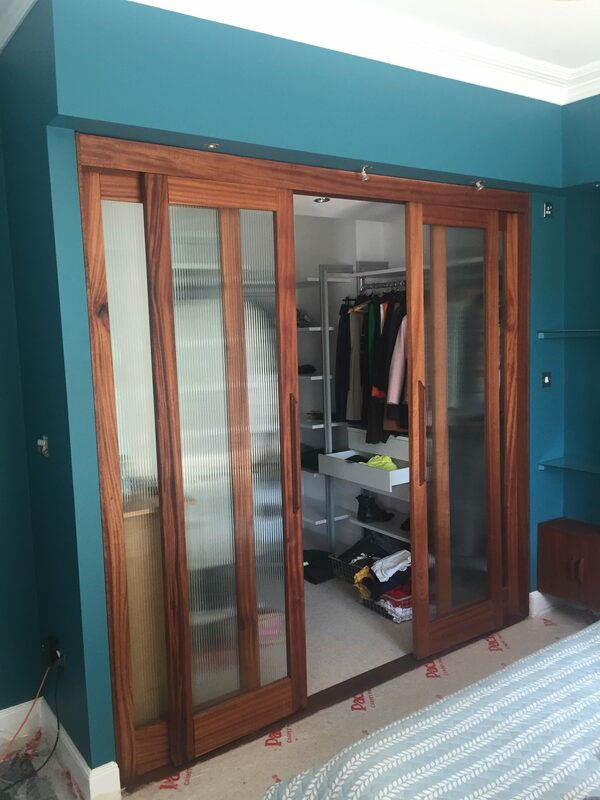 This is a set of bespoke fitted wardrobes with sliding dressing room doors and reeded glass. They are made from natural Sapele frames with a clear oil. The client requested a Scandinavian design which was well suited to the timber and reeded window look. These fitted wardrobes required smooth dual running sliding door track. 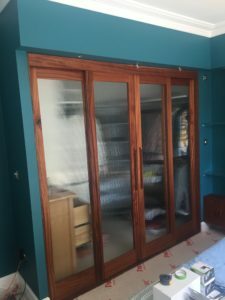 This allows both doors to operate even with one door being moved. 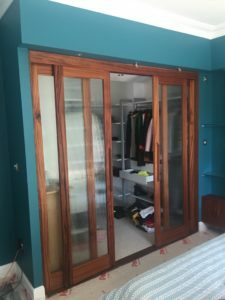 The doors were part of a project within a traditional Leamington Spa town house, to the master bedroom and adjoining dressing room. The client has spent a lot of time travelling which had influenced her sense of style. This was reflected in the Scandinavian feel of the walk-in dressing room doors. Evening #kenilworthhr Hope you had a good day. We delivered a bespoke desk today. Black stained Oak and very heavy! @grainger6 I'm hoping to call through that way tomorrow, I think a stop in is called for.